An imaginative cowboy and his pal call a truce from their Cowboys and Indians game. 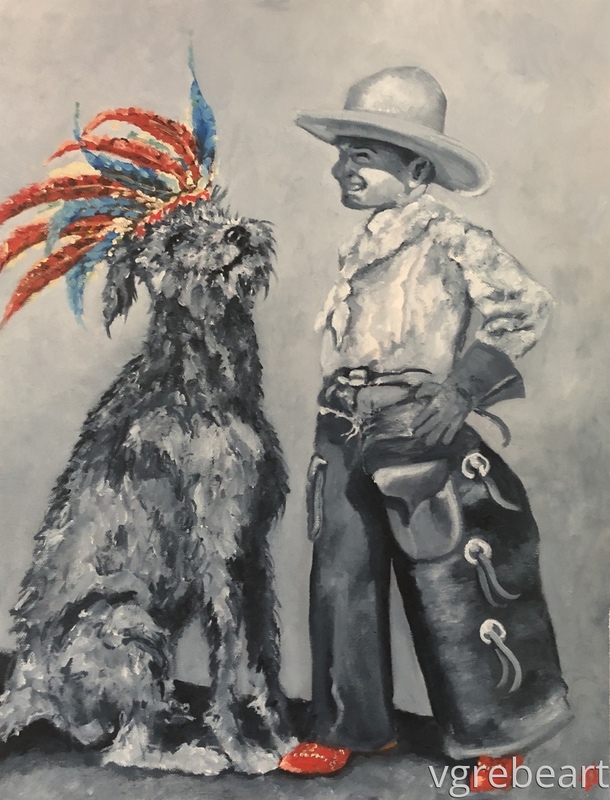 Great pops of color in the feathers on the wolfhound and the little red boots! Sweet painting.